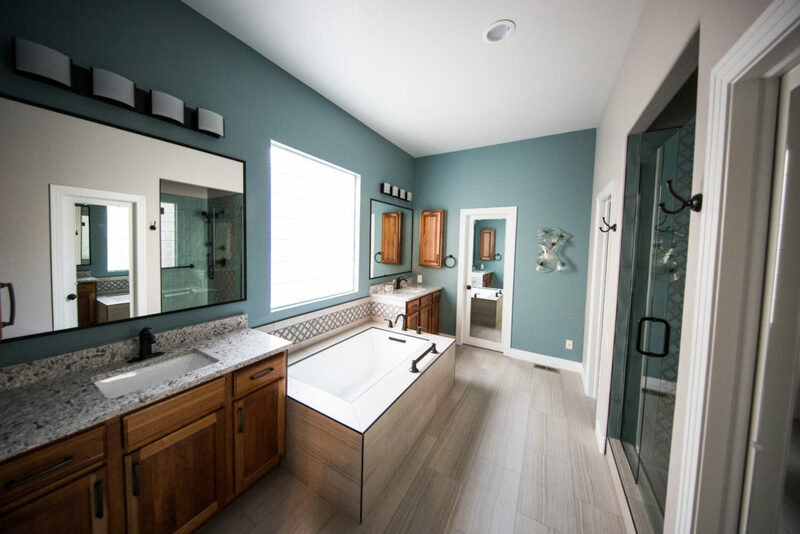 The ideal bathroom combines function with style. After all, it’s the room you head to in the morning to get ready for your day and the room you go to at the end of the day as you’re starting to unwind for bed. You want your toiletries and towels within easy reach, but the room to feel comfortable. This can be challenging, especially if you have a smaller bathroom. Whether you’re looking to make a subtle or dramatic change to your bathroom’s look, there are options within your budget. We’ve rounded up some of our favorite. If your bathtub has been there for a few decades, it may be time for a change. If it’s still in good shape, a professional may be able to refinish it to match a more modern look. If a new tub is in order, choosing white can save you some money. Since the neutral color is so popular, stores tend to order it in large quantities, often making it the most cost-effective option. The same can be true when purchasing a new toilet or sink, as well. An old dresser or table can make a great custom vanity. Cut a hole in the top for a drop in sink. This would be look great in a cottage-style bathroom. Love the look of tile, but don’t love the cost? Use tile as an accent, rather than tiling an entire floor or shower stall. We’re digging this tiled shelf. New hardware for your shower and sink can add style and function, whether you’re going for a streamlined modern look or a more traditional option. Consider adding a handheld sprayer in the shower to make cleaning out the shower and bathing children (or pets) easier. Low flow faucets and showerheads can even save you money on your water bills. Clutter makes any bathroom feel smaller and gets in the way of your daily routine. Make it easy to find what you’re looking for by adding pullout shelves to your cabinets and drawer organizers. If it’s wall space that you need, repurpose a standing coat rack as a towel rack.